Imagine a golf course so stunning that every time you step up to a tee you pause to take in the surroundings. Now imagine it’s only 30 minutes from downtown Toronto. That’s the beauty of Copper Creek Golf Club. 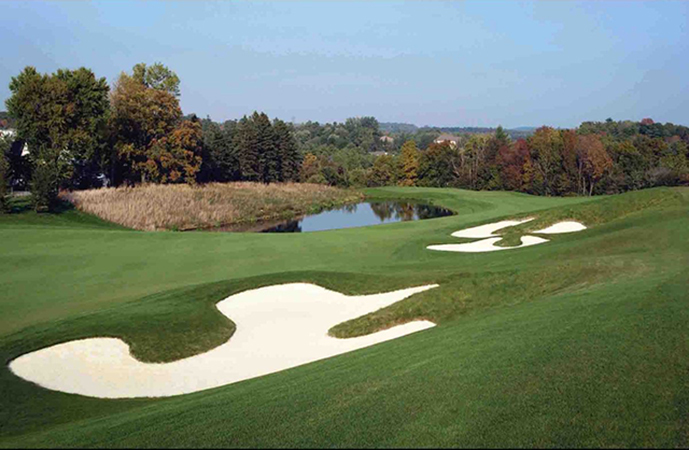 Designed by renowned Canadian Architect Doug Carrick, Copper Creek was recently voted as the best public golf course in the GTA. Set amongst the rolling hills and forest of the beautiful Humber River Valley, Copper Creek is also currently ranked the 36th best course in Canada. You can relive your round over dinner in our majestic copper-roofed clubhouse, where you will enjoy a panoramic view of rolling hills and forests. Our 40,000 square foot clubhouse is complete with every amenity imaginable, including, banquet facility seating for up to 600 guests, our Kleinburg Room and Bistro for fine or casual dining and a spectacular terrace overlooking the valley. It is the perfect setting for all types of family events, from weddings, to birthday parties and anniversaries, bar/bat mitzvahs, or your special occasion dinners. Copper Creek Golf Club has so much more to offer our visitors than just being the preeminent place to play golf. Everything about Copper Creek is done with one thing in mind – to ensure that your day is a picture of perfection. 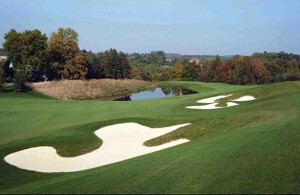 Set amid the rolling hills and forests of the Humber River valley, this championship golf course. For more information, call us at 905 893 – 3370 or visit our website.